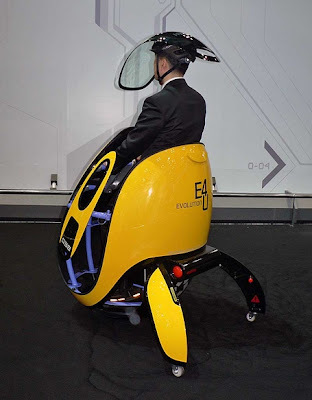 Car manufacturers Hyundai has put a whole new spin on personal transportation with the egg-shaped E4U vehicle it showed off at the Seoul Motor Show. 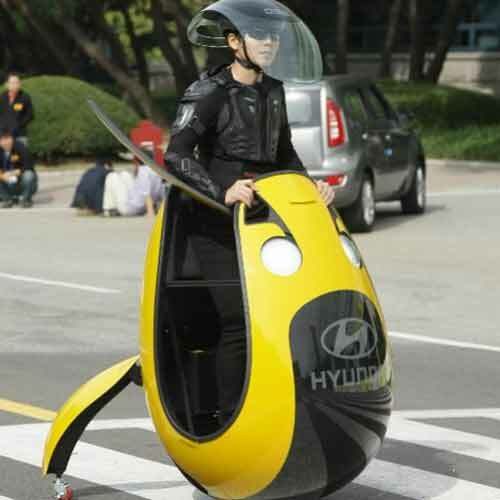 The South Korean car company have created a one-person vehicle that is designed to fit in tight city parking spots and runs on an electric battery. The car has a maximum speed of just over 18 miles per hour. 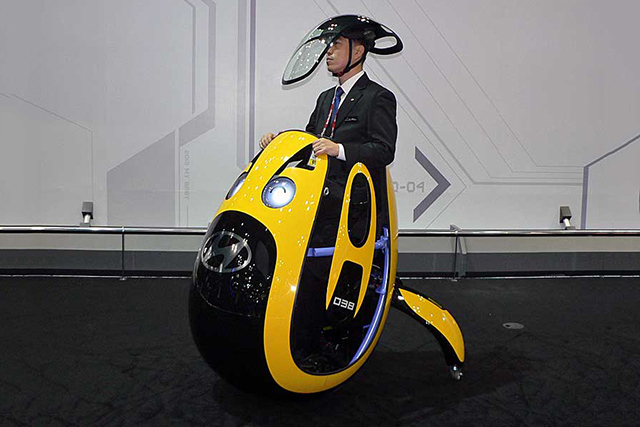 The vehicle’s top doubles as a visor-like helmet that looks fit for a mission in space, the New York Daily News reported. According to Hyundai, the E4U’s strange name stems from the four Es found in the vehicle - evolution, electricity, eco-friendliness and, of course, egg. The E4U is designed to take advantage of tight, congested urban roads. 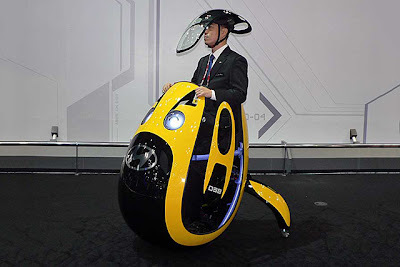 Its small size with the help of foldable rear legs also aid the vehicle in navigating into parking spots on crowded city streets. Rather than wheels, the E4U relies on a base hemisphere that runs on a 24 volt, 500-watt battery. Two rear wheels help give the vehicle balance, while also providing the vehicle a distinct tripod shape.